The poor performance of political parties, the reluctance of the government to initiate any substantial political reform initiative, the distraction of severe economic problems and a lacklustre parliament have resulted in an aneamic political climate, say analysts. There were, however, three significant developments when it came to the nation’s political life. One took place in October when MP Abdel-Hadi Al-Qasabi was elected the new head of the majority pro-government Support Egypt coalition. He replaced businessman Mohamed Al-Sewidi who announced he would not stand for re-election in order to allow for the rotation of power. 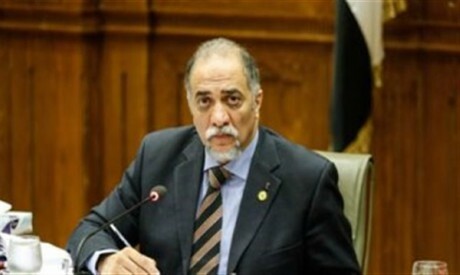 Al-Qasabi, who heads the Supreme Sufi Council and is chair of parliament’s Social Solidarity Committee which drafted the controversial NGO law, told Al-Ahram Weekly that despite Support Egypt’s control of the majority of parliamentary committees for a fourth year the coalition had no desire to monopolise decision-making in the House of Representatives. Al-Qasabi denied claims Support Egypt acts as the government’s or president’s party. “The coalition is a gathering of political forces that support President Abdel-Fattah Al-Sisi’s economic policies and is keen on exerting stricter supervision of the government’s performance,” said Al-Qasabi. “Such objective supervision,” he claimed, “has already resulted in the dismissal of cabinet ministers who failed to cooperate with parliament” and forced the new government, led by Prime Minister Mustafa Madbouli, to protect the interests of low-income citizens when implementing economic reforms. The second development saw the Future of Homeland Party emerge as the leading parliamentary force in the second half of 2018. The party’s ascendency came at the expense of the Free Liberals and the Wafd parties which have become increasingly bogged down in internal divisions and financial problems. Businessman Naguib Sawiris, the founder and major backer of the Free Liberals, accused new chairman Essam Khalil of hijacking the party, while the Wafd Party saw the departure of many leading members who resigned in protest at what they said was the dictatorial style of the party’s new head, Bahaaeddin Abu Shokka. Sixty MPs affiliated with the Free Liberals and the Wafd are thought to have defected to the Future of Homeland Party. The Future of Homeland Party’s rise began in June when two popular campaigns that had mobilised to support Abdel-Fatah Al-Sisi’s re-election as president — the We Are With You and In Order To Rebuild movements, announced their backing for the party. It is clear that the Future of the Homeland Party has access to both money and influence, says Amr Hashem Rabie, a political analyst with Al-Ahram. According to Rabie, the divisions which have wracked the Wafd Party and seen many of its leading members abandon party ranks constitute a third important political development. Members of the Future of Homeland Party won the lion’s share of posts on parliament’s 25 committees in October. The party’s MPs now head 15 committees, up from seven a year ago. The party’s chairman, Ashraf Rashad, was elected head of the Youth and Sports Committee; Al-Qasabi, the party’s deputy head, was re-elected as head of the Social Solidarity Committee for a fourth consecutive year and Alaa Abed, Future of Homeland’s parliamentary spokesman, retained his position as head of the Human Rights Committee. Essam Hilal, the party’s secretary-general for organisational affairs, said in a press interview that its MPs form the majority of the Support Egypt coalition. Hilal said his party fully supports President Al-Sisi. So is the Future of Homeland Party really the political face of the regime? He also noted that 58 per cent of parliamentary seats are occupied by independents. Al-Sayed argues political reforms are urgently needed ahead of parliamentary elections in 2020, and presidential elections in 2022, and is concerned no mention was made of political reform in Madbouli’s policy statement before parliament in June. Mustafa Bakri, MP and journalist, claims that 2019 will see the introduction of a number of constitutional amendments. “A Shura Council will be reinstated to create a bicameral system again,” insists Bakri.